We’d love your help. Let us know what’s wrong with this preview of Sir Richard Branson by Richard Branson. Richard Branson's life is an adventure, from record-breaking balloon flights to courtroom battles with British Airways. This autobiography of the founder of the Virgin empire, offers an insight into the private and public world of this larger-than-life entrepreneur. To ask other readers questions about Sir Richard Branson, please sign up. 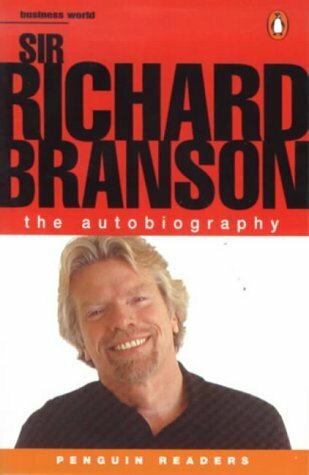 Not that many people have interesting lives worth dedicating a biography for, but Branson is a rare exception. Most of his adventures are whimsical, impulsive, and stupid, but his choice for fun over practicality makes things work out in the most magical way. I rate this highly not because it was well written (it was actually a bit long), but because I want to adopt aspects of his personality in my life. This review has been hidden because it contains spoilers. To view it, click here. Có nhiều điều thật thú vị trong kinh doanh mà mình chưa bao giờ được biết. I had to laugh at someone's review of "its a bit predictable". Firstly it's an autobiography not fiction and secondly, his life and this book are anything other than predictable. He is an entrepreneur full of character and that is portrayed in this book. I loved it. An extraordinary passionated man...who dared to take big risks and is successful with bright ideas. the story is inspiring, but the language could be tightened and the narrative be made more concise. I would prefer to read an abridged version if there was one. An interesting insight to one of the greatest living entrepreneurs today. A must read for anyone who wants to peak into the entrepreneurial lifestyle. Awesome book and what a lifestyle he has lived so far! Good read. Excellent to get behind the eyes of such a successful entrepreneur. A very honest and interesting read about such a successful man. Very well written and very inspiring. Definitely a must read. business classic - man is unique, always was, his Mother was a massive influence on his life..